It's no secret how much I adore Gwen Stefani. I mean, if it could be possible, Gwen Stefani would be my spirit animal. I just think she's completely fabulous. No Doubt played with Sting during the Super Bowl XXXVII Half-Time Show when they were still in their 'Rock Steady' phase. I think Gwen is the epitome of old-meets-new glamour as shown in her outfit & hair. She's just perfection! 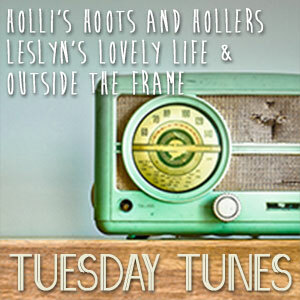 I'm linked up for [Tuesday's Tunes] at Leslyn's Lovely Life. Pick a song and come join us!